First , some exercises to check your understanding of If only / I wish . 1 and 2 . 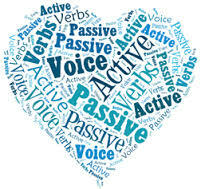 And now let's turn to the PASSIVE VOICE . Check this explanation you may have worked with before .3 and another one 2 . Please do these exercises . Click on 5 , and now with have/get + something +done structure 6 and finally 7 .